Inspired by Darwin’s quote above these building forms were created to make this site better for people and animals — adapting to provide shelter and food which is not already possible. 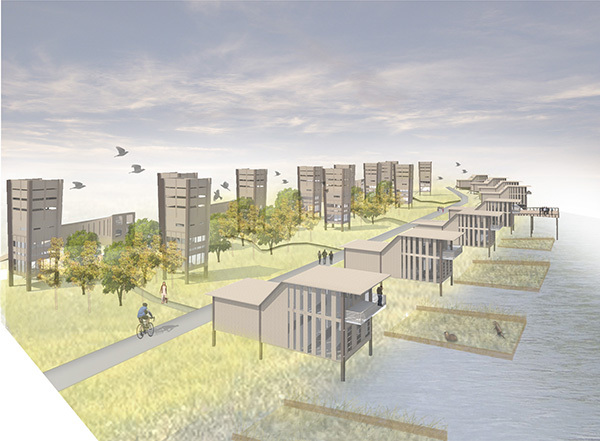 The project proposes to construct dwellings in an appropriate form along the river bank. A central focus of the project is to address concerns about the impact on the environment around the site. 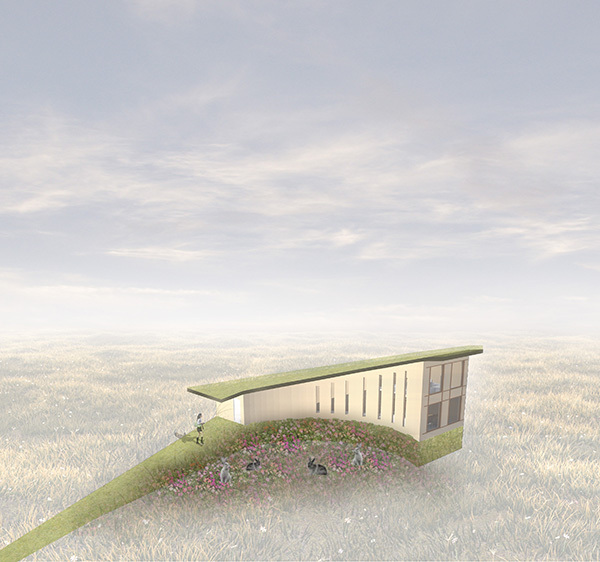 This led to an in-depth study of the local wildlife, looking at ways in which these dwellings also could be conceived to create habitats for specific animals other than humans. All dwellings are formed to also address the flood-plane. Biodiversity was the focus of my final year project for which I received great help from the information available on your website. 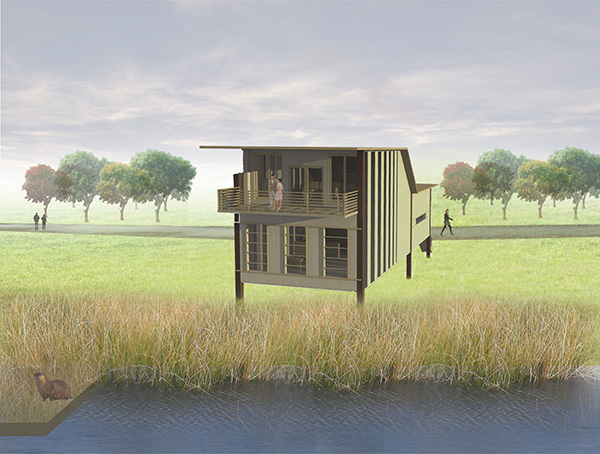 The project is an ‘off grid community’ positioned along a riverbank which I saw as a great opportunity to create a community where animals and people lived as one. 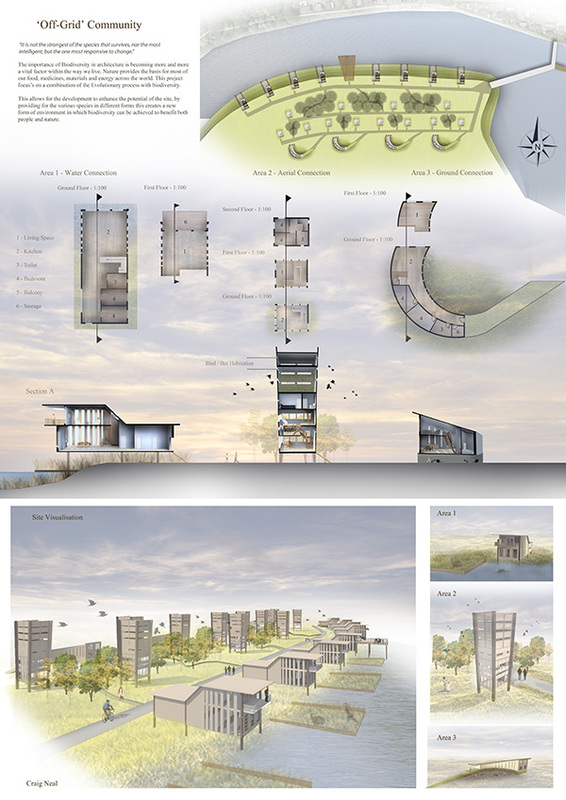 This idea continued into 3 different building types which accommodated for the 3 animal groups Land, Air and water. I have attached an image of the work as I feel you may be interested to see some ideas that you have helped influence, as I was extremely intrigued with the idea of designing for the animal before the person. I hope you enjoy looking at the project and hope you continue the great work at animal architecture for more people to be inspired. Craig, you’re absolutely welcome, and we’ll keep up the work as long as you do the same! This dwelling offers an interesting idea of the building being formed with the landscape. The ground will be shaped with the building rising out of the ground providing a raised walkway also keeping the building away from the flood water. The space created in the centre of this curve is appropriate for foliage to attract ground animals such as rabbits. With artificial burrows built into the bank which provide ready made habitats for them to use. 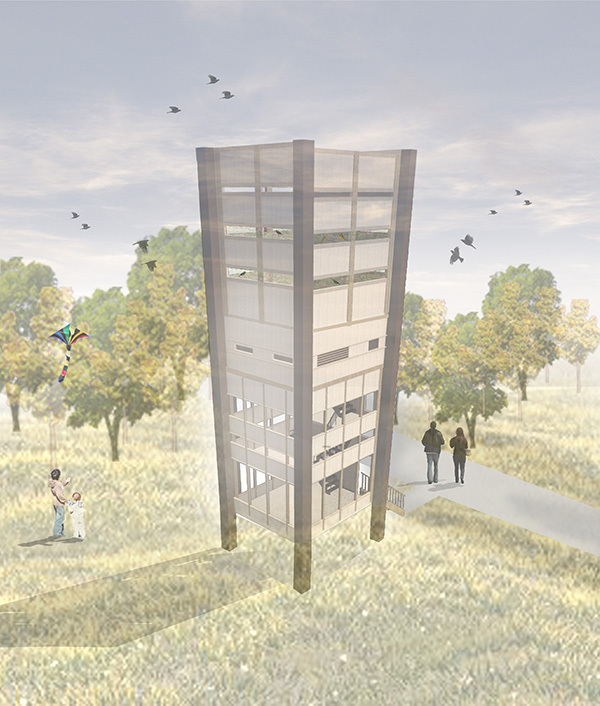 This dwelling is a slender tower form which is following the concept of aerial and building upwards to accommodate birds and bats. This idea is to create these internal environments within the buildings which provide nesting and feeding for the birds and the very top being a dark habitable space for the bats. The planting of trees in between the buildings will attract these animal types as well as providing the food. This dwelling stretches out over the water, creating to connection to the wildlife along the river bank mainly voles, otters etc. This formation of the building along the bank created spaces for artificial Reed beds which provided the shelter and food for this animal type. 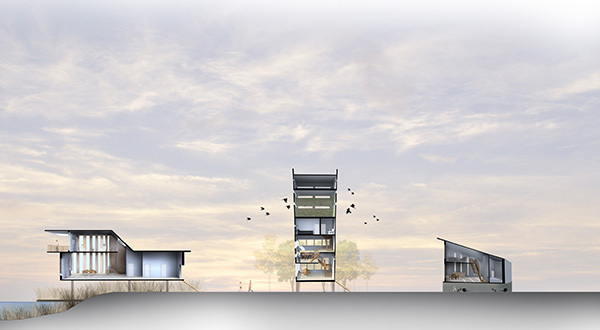 The dwelling offers balconies overlooking the these spaces which connects the people in the way they can get closer to the animals in the natural environment.